I never played team sports. Well, I was on some teams in junior high, but they were really more for fun! Hubby and I were watching a sitcom last week and one of the kids on the football team doesn’t love sports. In fact he was feeling bad about beating the other team. His kick meant the loss or win for his team. Truth is, I am. I am my son’s hero. I love in the morning when I make him breakfast and he says excitedly, “Mom, you made this? You made this? Yum! !” I love when we are reading a book and he looks up at me with his big brown eyes and giggles at my silly voices. I sometimes tuck him in, say “goodnight my sunshine,” close the door and think about our day. Maybe I yelled. Maybe he asked me to sit with him and I just didn’t have time. Maybe I didn’t have patience when I needed it the most. Well, when he looks and me and says, “good job mommy.” Or thank you Mommy for the smallest thing. I know that despite my flaws and my inconsistencies he looks at me with his Dads smirky grin and thinks that I am pretty awesome. Pretty awesome for just being me and being silly. Making him his favorite snacks. Getting down on the floor and playing with blocks. I am his hero for all the extremely simplistic things I do. So I try to remind myself of this when all the cute ‘pinteresty’ things don’t get done in time for Christmas. 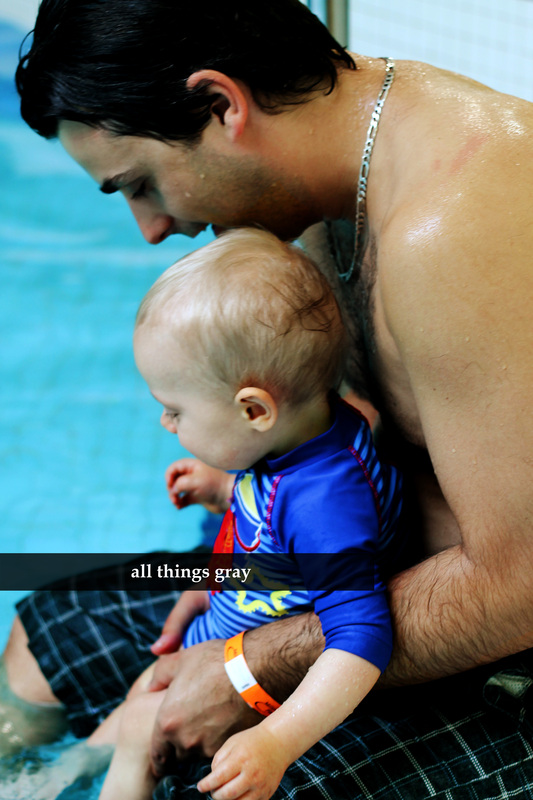 Or when dinner is late, Gray is crying cause is tired and the day seems as though it will end on a negative note. Do you know what you are to your kid(s)? A awesome hero! So even on your down days, know that your kid loves you, just the way they are. Their grace and love comes from the most sincere and innocent place. We don’t eat them a lot because organic is not always easy to find, and they are pretty high on the dirty dozen. But we have found them a few times (affordably) in the last couple weeks so we have been savoring them! Gray likes to eat them like many of us, sliced alone or on pancakes with maple syrup. We like them that way but we also love them smooshed up with a banana and some flax for a yummy smoothie! The other day I was planning dinner and feeling rather uninspired, I could not think of anything new to try that I felt like making. It was hot and I just wanted to hang out with my boys outside. Unfortunately the meat we buy is brought here once a month and we have hour to pick it up close to our home. Well, I completely forgot to get it. Just slipped my mind, we did had a glorious sleep in though. Gray let us sleep till 9:30, it was wonderful! But missing it meant that we had to drive to the next stop to meet the truck. So I was forced to get groceries for dinner, especially because I was out already. I quickly looked at Pinterest and the mound of strawberries I had on the island and decided to go for Strawberry balsamic pizza (with chicken, sweet onion, and applewood bacon). It was a stretch for me, but I thought what the heck, it is worth a try. Words out of Hubs mouth “This is the most amazing pizza I have ever tasted, this is one of the best meals you have ever made!” So it was worth it. And yes, it was fabulous. 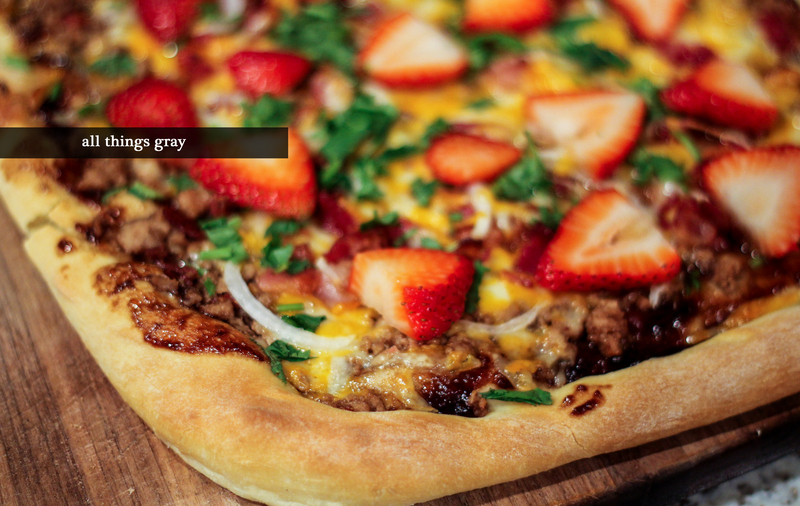 You can find the recipe here: Strawberry Balsamic Pizza. I made my own dough, you can find pizza yeast with all the other yeast. That makes it incredibly easy. I also used maple bacon and marble cheese because that it what I had. It was perfect for a hot night, something really fresh. Please try it! And if you do I would love to hear how it turned out!